Philip (‘Pip’) Youngman Carter was born in Watford in 1904. He was nine when his father, a local headmaster, died suddenly in April 1914, and two years later won a scholarship to Christ’s Hospital boarding school near Horsham in Sussex. He was to retain his links with the school and its alumni throughout his life. In 1921 he enrolled in the Regent Street Polytechnic in London to study art and as a student began to produce illustrations for newspapers and dust-jackets for publishers. 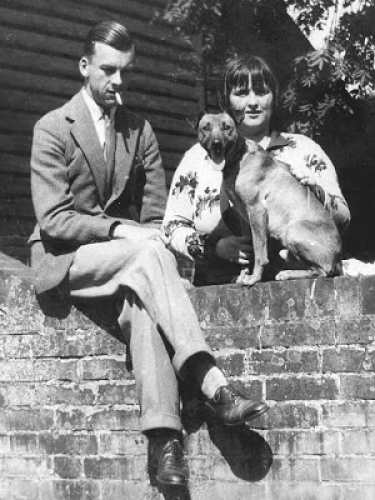 He met his future wife Margery Allingham when both were aged 17. They were secretly engaged at 18 and they married in 1927, living first in London but then in the countryside of north-east Essex and from 1935 until their deaths, in D’Arcy House in the village of Tolleshunt D’Arcy. They were married for 49 years. 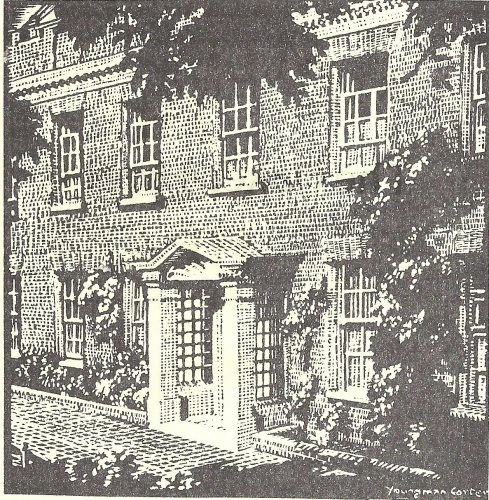 Philip and Margery Youngman Carter at home in Essex and D’Arcy House, Tolleshunt D’Arcy, drawn by Pip. During World War II Youngman Carter served in the army in the Western Desert and the Middle East, rising to the rank of Lieutenant-Colonel. Whilst on active service he continued to sketch and write, including numerous poems for army newspapers and a vivid (but unpublished) account of the fall of Tobruk. He became Editor-in-Chief of army publications in Persia and Iraq and was a co-founder and editor of the official British army magazine Soldier. Demobilised from the army in 1946 became Features Editor of the Daily Express and then Assistant Editor of the Tatler. He contributed portraits and theatre reviews and wrote lighter pieces under the pseudonym 'George Gulley'. Later he took over as Editor, making the glossy society magazine, it was said, 'too good for its conventional readership'. From its inception in the early 1950s he was also associated with The Compleat Imbiber, the house magazine of Gilbey's, the wine and spirit merchants. 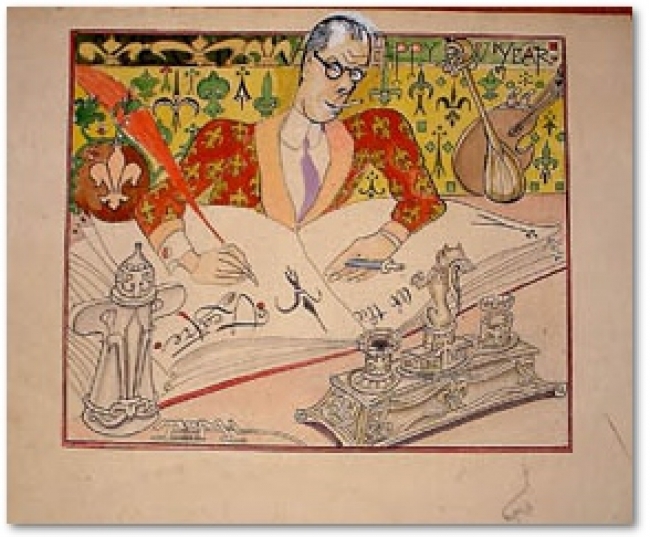 In 1957 he left Fleet Street to resume his career as an artist and illustrator as well as writing wine and travel books, and some thirty short stories, many of which were published in Argosy magazine. 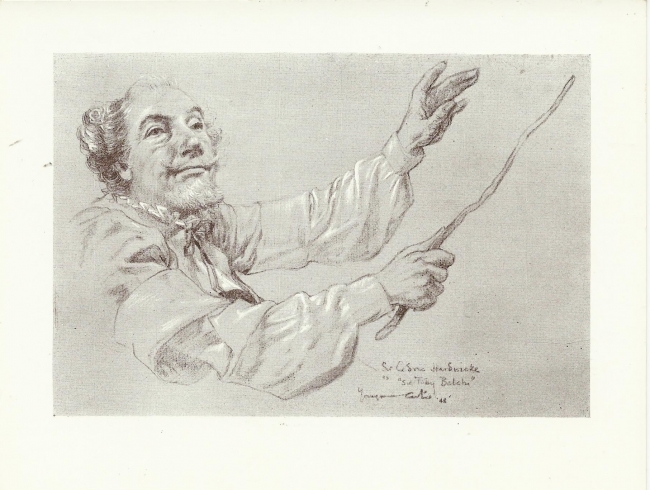 As an artist, he sketched numerous celebrities including Charlie Chaplin, the actress Martita Hunt (which now hangs in The Garrick Club) and the actor Sir Cedric Hardwicke playing Shakespeare’s Sir Toby Belch. 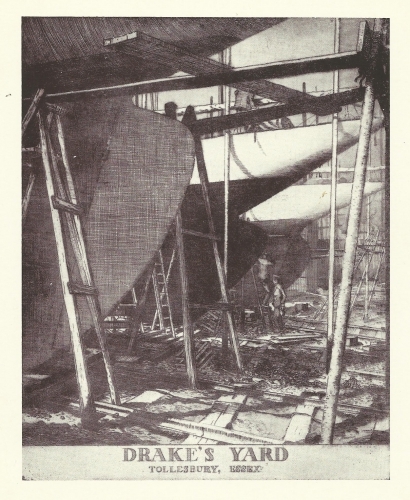 In addition, he would take inspiration from local Essex scenes, most famously Drake’s boat-building yard at Tollesbury, and the sights of the wine-producing areas of France which he visited and wrote about in his 1963 travel book On To Andorra, and included the famous Chateau d’Yquem. 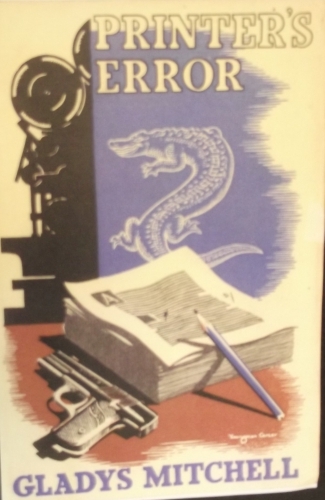 But Youngman Carter became best known as a prolific designer of book jackets, designing more than 2,000 in all, many for his wife’s novels but also for those of Graham Greene, Daphne du Maurier, Georges Simenon and Carter Dickson among many others, including Dorothy L. Sayers. 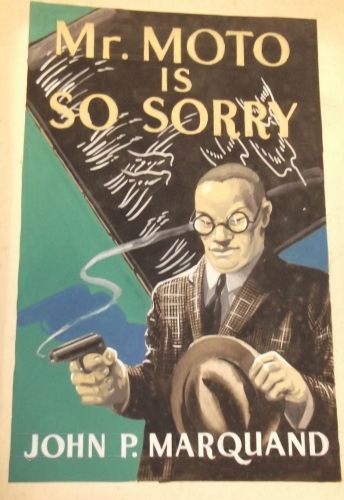 Apart from designing the dust jackets for many of his wife’s famous Albert Campion stories, Youngman Carter was an acknowledged collaborator in the writing of them, especially in the 1930s when Margery Allingham was ranked with Agatha Christie and Dorothy L. Sayers as one of the ‘Queens of the Golden Age of the English detective story’. 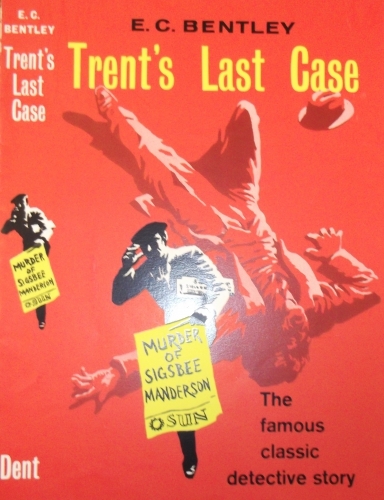 Although a prolific journalist, his own fiction was limited to short stories, although he submitted (unsuccessfully) numerous treatments for television programmes, including a drama series entitled Longford and Oak based on two female solicitors in a small country town. 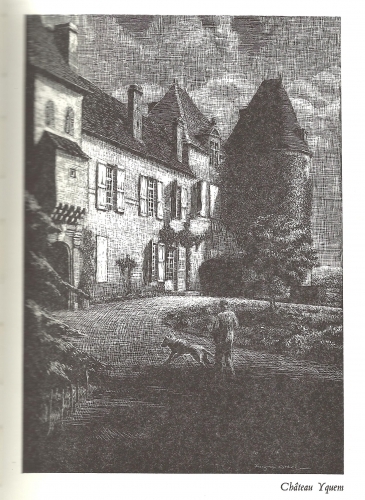 But when his wife Margery died in 1966 during the writing of her last novel Cargo of Eagles, Pip completed the manuscript so successfully that few could tell where he took over. The posthumous publication of Cargo of Eagles in 1968 persuaded him to embark on a series of novels continuing the adventures of Albert Campion, starting with a plot idea left by his wife. 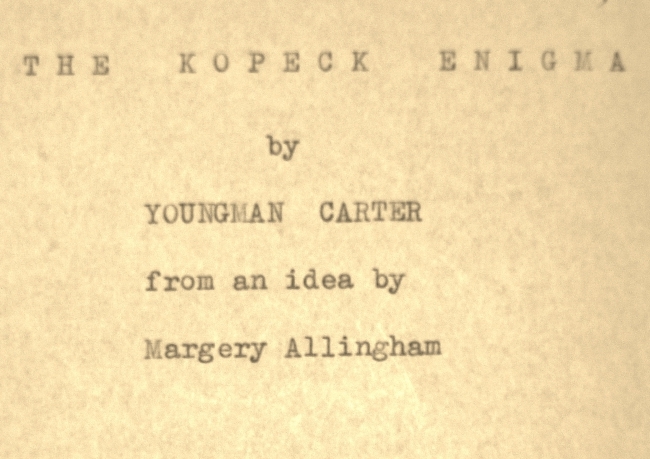 Initially entitled The Kopeck Enquiry, Pip’s first solo novel had become the Kopeck Enigma by the time he submitted the manuscript to his publisher, who immediately changed the title again to Mr Campion’s Farthing for publication in 1969. A second novel, Mr Campion’s Falcon, also underwent a title change (Mr Campion’s Quarry) when published in the USA in 1971, but Pip never lived to see that. 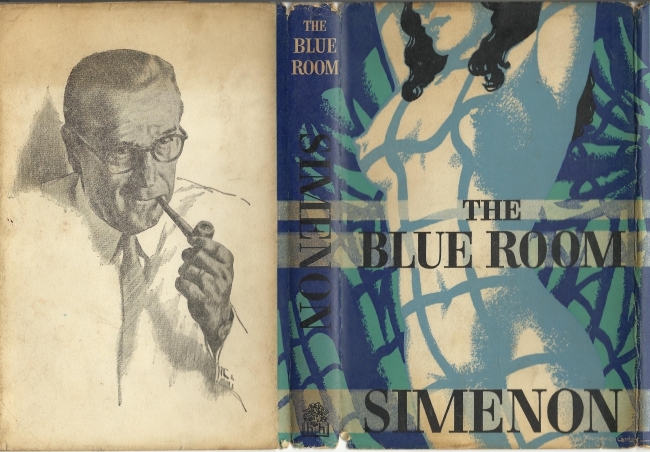 He was at work on a third, untitled, ‘Mr Campion’ novel when he died in November 1969 following an operation for lung cancer at the age of 65. He had survived his wife Margery by just over three years.